Welcome to the Post Oak Landing Homeowner's Association (HOA) web site. 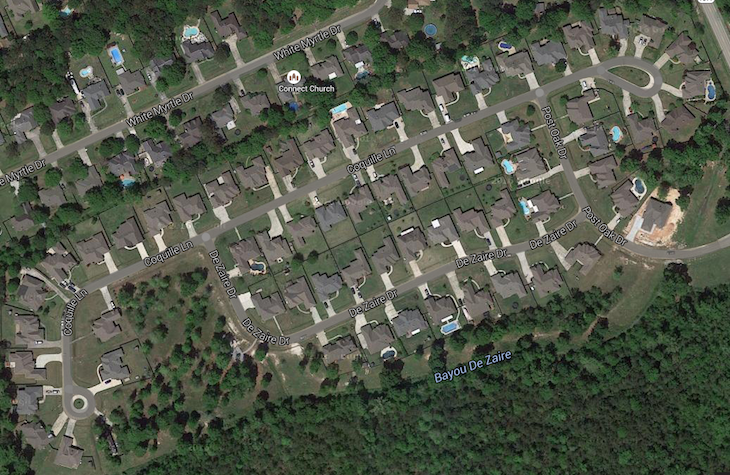 We are a small, covenant-protected community of 58 homes in beautiful Madisonville, Louisiana. 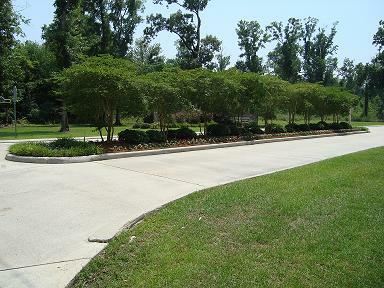 A row of crepe myrtles greets you as you enter our subdivision, with several acres of well-maintained shared property throughout. We have a private playground and park where our children and grandchildren can play safely. The satellite image below displays the layout of our subdivision. The entrance road is Post Oak Drive, which connects to DeZaire Drive and Coquille Lane. Post Oak Drive is the single entrance/exit point for the neighborhood, which minimizes traffic and further contributes to a safer environment. We have 25 mph speed limits posted on all streets, which are often walked by neighbors and children. We recently launched a private social network for Post Oak Landing HOA residents at https://postoaklanding.nextdoor.com. Please register if you haven't already so you can get to know your neighbors better!